Berry Good! 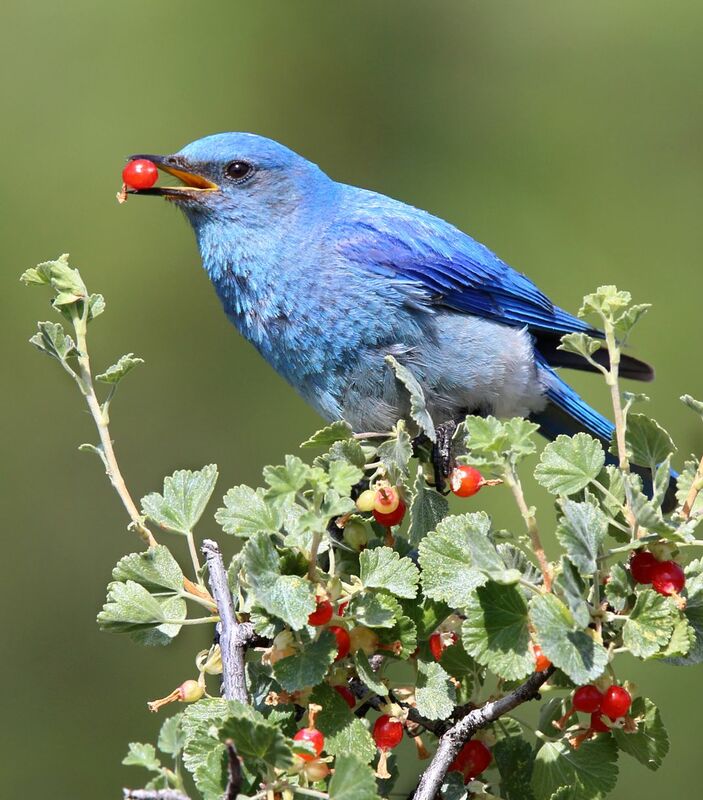 A male Mountain Bluebird has plucked a berry from the waxy currant bush in the summer heat. A contrast in complemetary colours.